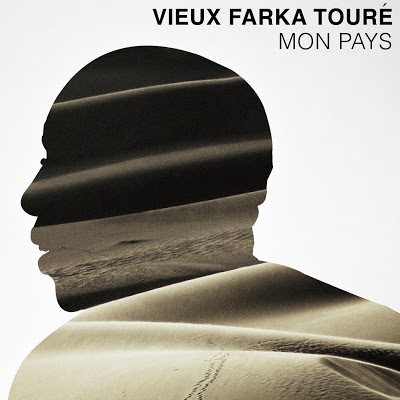 On his first six albums and a series of international tours, Vieux Farka Toure carved out a style at arm’s length to that of his famous father, Ali Farka Toure: rooted in Northern Mali’s desert blues sound, but with an aggressive, electric edge and some of the flair of rock ‘n’ roll. 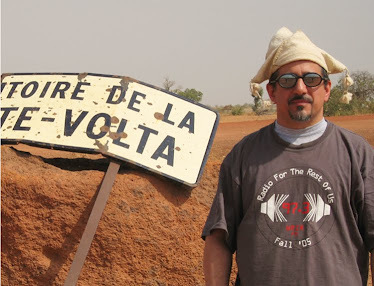 This album finds Vieux in a more reflective mood, partly by design and partly as a response to Mali’s now 14-month-old crisis of coup d’etat plus Islamist insurgence plus international invasion. Vieux is truly his father’s son on his wonderful rendition of track 2 – close your eyes and you’ll swear it’s Ali on guitar. The galloping track 5 with its scraping njarka (one-string spike fiddle) sounds right out of Ali’s playbook as well. And Vieux invited kora player Sidiki Diabate, son of Ali’s friend and collaborator Toumani Diabate, to join him on this session – their collaboration on 9 is quite beautiful, reminiscent of the jazzy folk instrumentals of guitarists like John Renbourn, Davy Graham or Leo Kottke. This departure is a welcome addition to Vieux’s growing and impressively diverse catalog – nicely done.